MISSION: The Minnesota Sinfonia’s serves the musical and educational needs of the citizens of Minnesota with a special emphasis on reaching families with young children, inner-city youth, seniors and those with limited financial means. 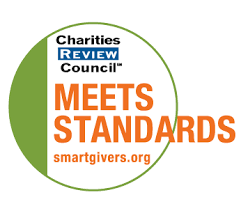 The Minnesota Sinfonia meets the Charities Review Council Accountability Standards® as a strong, trustworthy nonprofit advancing the greater good. Why Give to the MN Sinfonia? The Sinfonia employs some of the region’s most sought-after freelance artists, performs challenging masterworks from the great orchestral repertoire, and feature world-class soloists from around the globe. The result? Sinfonia plays to full houses to enthusiastic applause and standing ovations. Half of Sinfonia concerts are for education programs. Our Music in the Schools program is the only outreach program in the area that brings the entire orchestra into the schools to perform more in-school concerts than any other professional orchestra in the state. The Sinfonia has offered free admission to all concerts for more than 20 years, children are welcome at every concert, and we perform for some of the Twin Cities most underserved, economically distressed populations. THE BOTTOM LINE: YOUR DOLLARS BRING MUSIC TO EVERYONE. The Sinfonia is a fiscally conservative organization with no debt. Every year ends with a balanced budget, we hold the coveted Charities Review Council “Seal of Approval” for organizational excellence, and our independent auditors confirm 80% of each dollar directly supports Sinfonia concerts and education programs. For nearly 30 years, the Minnesota Sinfonia has provided free-admission, family-friendly programming to people from all walks of life throughout the Twin Cities. The only way to continue inspiring our audiences and empowering inner-city students is through your generous donations. Please give to the Minnesota Sinfonia today! MN Sinfonia is a community-supported 501(c)3 nonprofit organization and your donation is tax deductible as allowed by law.